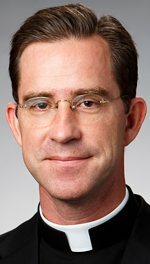 Father Peter Laird has resigned as vicar general and moderator of the curia, effective immediately, the Archdiocese of St. Paul and Minneapolis announced Oct. 3. 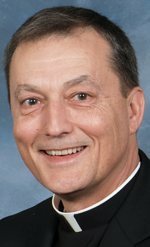 Archbishop John Nienstedt has appointed Father Charles Lachowitzer, pastor of St. John Neumann in Eagan and a regional vicar, as his successor. Father Lachowitzer will begin his new responsibilities following a transition in leadership at St. John Neumann. Father Laird served since November 2009 as vicar general and moderator of the curia, assisting the archbishop in the general care and administration of the archdiocese. Father Laird will continue to serve in a variety of roles within the archdiocese, including as the temporary administrator at Presentation of the Blessed Virgin Mary in Maplewood. “Father Laird has provided great leadership and excellent vision for this local Church, and I am grateful for his dedication and service to the archdiocese during his years as vicar general and moderator of the Curia,” Archbishop Nienstedt said. Details about the task force will be announced in the coming week, the archbishop said. Auxiliary Bishop Lee Piché will serve as vicar general and moderator of the curia on an interim basis until Father Lachowitzer is able to fully transition into his new role. Bishop Piché previously served in that position for the archdiocese from 2008 to 2009. Father Lachowitzer was ordained a priest of the archdiocese in 1990, following his graduation from St. Paul Seminary School of Divinity. Prior to his appointment as pastor at St. John Neumann in 2002, he was an associate priest at St. Michael in Stillwater and later served as pastor of Presentation of the Blessed Virgin Mary.